New wave mumble rapper Lil Pump teams up with Hip Hop veteran Lil Wayne for a new Ego Rap anthem entitled ‘Be Like Me‘. Produced by Chris Barnett, the song details the characteristics that separate Lil Pump from the rest of us while everyone gets a taste of the young rapper’s lifestyle from his own perspective. Let’s see a detailed description of the song’s lyrics below. Right from the song’s Intro, the rapper tells us that he feels like everyone wants to copy him, especially when it comes to his spending habits and his lifestyle. However, considering Lil Pump’s success in the music scene, not many people can follow his footsteps and make these insane purchases that put him on a pedestal, such as: a $2,000 all-white t-shirt, $10,000 Gucci bed sheets, expensive jewelry and other fancy clothes. 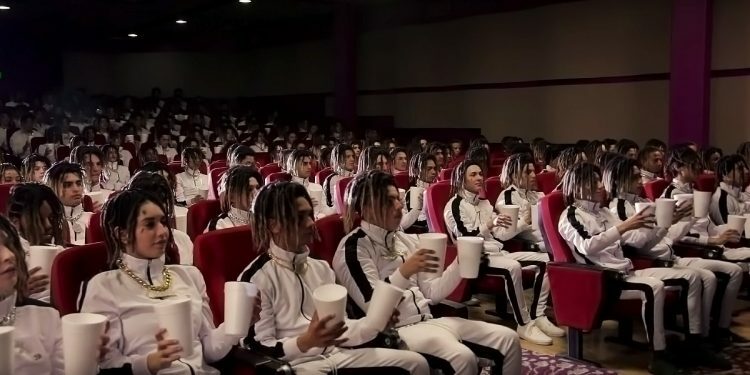 Following the Intro, Pump cuts straight to the point while accusing other rappers of copying his image, wearing fake dreadlocks and simulating drug habits. Regardless of the situation, the rapper tells us that he doesn’t plan on stop being himself even if it makes him look ignorant in the public’s eyes. Lil Pump also makes a short reference to Kanye West and Kim Kardashian while suggesting that before him, people wanted to copy their lifestyle as well. At the end of the day, controversy doesn’t bother the young rapper as he plans on continuing his drug-addict, egocentric, millionaire lifestyle that started when he was 13 years old as he first experimented with drugs. 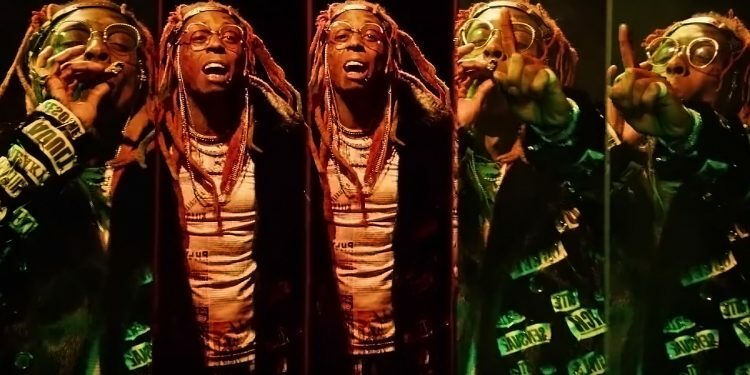 After the Chorus, Lil Wayne delivers his verse while suggesting that he doesn’t plan on doing any compromises either. As a matter of fact, he plans on remaining true to himself especially after all these years he fought his way on top of the Rap game. Now he sits and watches from his throne how these upcoming rappers are copying his style but have no chances of taking his position anytime soon. He treats these rappers like kids but instead of parenting them, he doesn’t recognize their presence and despite being hated for this, he doesn’t care as long as his fan base loves him – especially the ladies. Wayne also claims that he knew he was going to make an impact from his early beginnings since he was able to bring authentic street knowledge to the game while changing it forever. The rapper ends his verse with a piece of advice for everyone: stay in your lane and stop copying his style. From what he’s trying to say, this would be best for everyone since it’s almost impossible to reach his financial gains or to replace his legacy in the music industry. Bottom line, Lil Pump and Lil Wayne are unique, and they want you to recognize them for who they are without doubting their ways. Simple and clear.